I'll link to their goodreads pages so you can see their books. 1. Amanda Bouchet. She writes adult high fantasy and it's freaking awesome! 2. Elise Kova. She's an indie author but don't let that stop you. She wrote the Air Awakens series which I binge read in 5 days! She writes a lot like my favorite author Maria V. Snyder. Her fantasy is amazing and she has a new steampunk fantasy that I just read and loved! 3. K.A. Linde. Yes another indie author but her Affiliate series blew me away! It's like The Selection (but better) and with magic! 4. S.J. Kincaid. Yup I'd never read her before The Diabolic and now I must read all her other books! 5. Kerri Maniscalco. She's a debut author but is well deserving to be on this list. Her book Stalking Jack the Ripper was awesome and I usually don't enjoy straight historical books. 6. Carey Corp & Lorie Langdon. Their Doon series was another I had always wanted to read but hadn't until this year and I'm so happy I did! It was soooo good! 7. Amy Harmon. And another indie but her book The Bird And The Sword is everything I look for in a great high fantasy! 8. C.L. Wilson. She writes adult romantic fantasy and wow it is awesome and smexy! I loved the first book in her Weathermages of Mystral series (book 2 needs to come soon!) and had to buy her Tarien Soul books right after! 9. Lisa Maxwell. Unhooked was the first book by Lisa I read and I loved it! I need to read the rest of her books now! 10. Sarah Fine. Impostor Queen was the first book of Sarah's I read. Sadly I didn't like the sequel/companion novel but Sarah has a ton more books I want to read. So what about you? Who are some new to you authors you read? 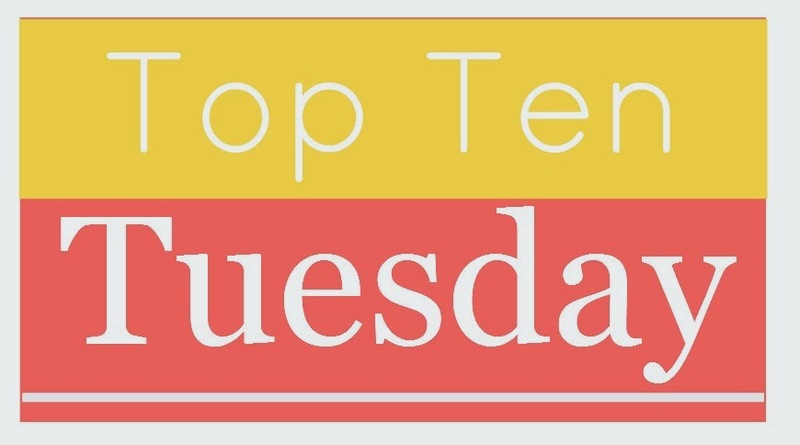 And I probably won't be doing top tens lists for the rest of December since we have our Top 10 event at the end of the month and a couple of the topics are similar! !